As we near the end of the fiscal year and I’m beginning to receive questions as to the future of FormLift in 2019 and how FormLift will help new Infusionsoft users in the new Re-Vamped UI. Essentially users are asking how are we going to stay relevant with the leaps and bounds that Infusionsoft is making? To address that I have a few announcements to make. Let’s tackle the elephant in the room first. 1. 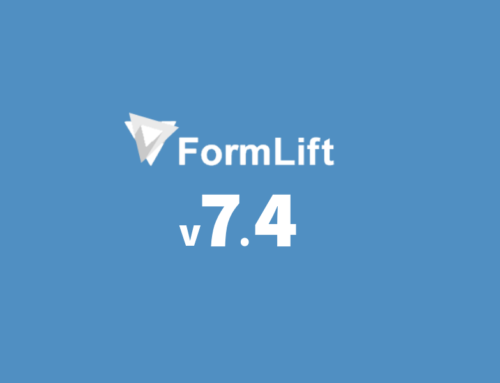 What does the new UI mean for FormLift? The new UI is a bit of a wildcard at the moment. Infusionsoft in their most recent product updates has given no indication that their Web Form module will experience any form of UI update. However that is assuming that the Web Form module survives a fully revamped UI. I think it is possible it may not. Infusionsoft is doubling down on their landing page builder which (while it is still fairly child friendly compared to the alternative builders out there) is coming together and is becoming more advanced every day. Plus software everywhere is getting a revamp. The internet and WordPress has come a long way since the Web Form module was built. So it may get the boot, or a complete re-do. We’ll wait and see. However, Infusionsoft classic will always continue to support the Web Form module AS IS since too many customers are dependent on it. The other presented challenge with the new UI is less of a technical one and more related to the TYPE of new UI customers. In Infusionsoft’s own words these people are going to be more geared toward operations vs. marketing which means they won’t necessarily be using very many web forms for their business. We’ll have to wait and see. 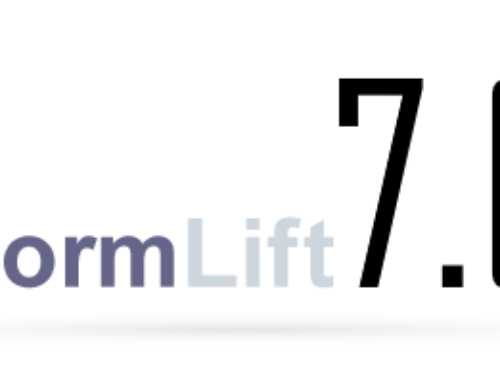 FormLift is very much a “Classic” based product and I believe will remain that way as there is not much to offer outside of new Infusionsoft that would be needed by new Infusionsoft users. 2. 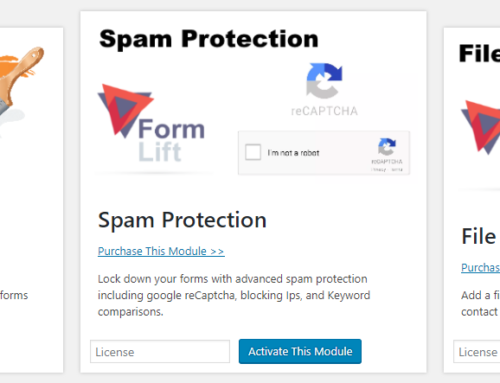 How is FormLift comparing to the new Landing Page builder? The new LP builder is making big leaps in a short amount of time. It is still a far cry away from ANY of the numerous WordPress based page builders that are currently being offered. However, Infusionsoft is doubling down on the new UI and the LP builder is going to be one of the big focuses. I have a feeling we’re going to see some good stuff from Infusionsoft on that regard. With that said, FormLift is not a landing page builder. It’s a Form Builder. The LP builder will never (or at least for the foreseeable future) come close to the customization you can achieve with FormLift. So if that’s what you’e looking for, stick with FormLift because it’s still faster, still more user friendly and still more reliable than the LP builder. 3. Are there any big updates/extensions coming soon? In the immediate future? No. We’ve more or less accomplished what we set out to do which was make WordPress & Infusionsoft not a pain in the a$$. We’ve gone above and beyond that call of duty as well by introducing extensions like File Uploads and FormLift payments. Plus we’ve also RUN OUT of API calls. We’ve used almost all of the useful API calls! FormLift plus it’s extensions makes use of almost every single API method Infusionsoft has. As a web form builder our mandate was simple, “Make Infusionsoft web forms better,” and as of FormLift 7.5.11 the plugin is stable, bug free, feature rich and used by over 1000 Infusionsoft users to connect WordPress to Infusionsoft. For the immediate future FormLift will simply continue to do what it was made to do; build Web Forms. Our team will continue to answer your support questions, provide maintenance and compatibility updates and service FormLift in general. If you have feature requests, those will still be honored and vetted on a case by case basis. 4. So what are you doing then? Obviously answering support questions and doing maintenance is not a full time endeavor. FormLift is basically on auto-pilot for the moment which has freed up a lot of time for myself and the team to focus on a new project. Groundhogg is going to be the future of the FormLift team. All new ideas, energy and focus is being directed at our new WordPress CRM & Marketing plugin. We started building Groundhogg right around the same time that Infusionsoft released their first beta of the new UI. The problem with the ALL-IN-ONE ideology is that it often leaves WordPress users (30% of the internet) out in the cold with no easy way of connecting their site to their CRM. Spurred by angry Facebook comments and a drive to change the world as we know it we made a plugin to turn WordPress into that same ALL-IN-ONE platform. Between IS (among other SAAS products) and WordPress, we choose WordPress. Our team believes that Open Source, transparency, accountability and FREE is the future of the internet. The SAAS model, while lucrative at this current point in history, does not (in our opinion) produce the best tools for everyone. So, with that we are excited to provide a long awaited feature rich CRM & marketing plugin for WordPress to bring WordPress users in from the cold.